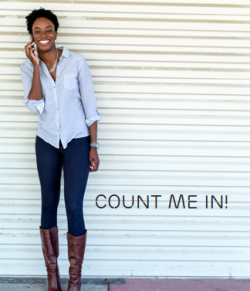 Ericsson developed an internal employee communications initiative called: "Count me in!" Ericsson Business Unit Support Solutions (BUSS) is one of the five business units at Ericsson, a global provider of communications technologies and services. The BUSS unit at Ericsson is involved in the development and delivery of software-based solutions for telecommunications and enterprise market sectors. The unit features more than 5,700 employees working in 22 locations across eight countries. To overcome the challenge of unifying BUSS employees under a set of principles and integrated strategies, Ericsson developed an internal employee communications initiative called: "Count me in!" The strategy of the "Count me in!" campaign was centralized around overcoming the organizational hurdle of creating consistent policies and goals for employees across multiple countries, varying corporate cultures, and several languages. "BUSS management knew that employee engagement was critical and launched the wide-ranging internal communications campaign to unite BUSS employees," says Dewi Widiyanti Davås, internal strategy communications driver for the BUSS unit. "A central strategy of the campaign is to ensure that all BUSS employees are looking at the business with a wide-angle lens, getting everyone moving in the right direction, and ensuring that everyone is firmly on board." The "Count me in!" campaign was developed as a multi-touch point communications campaign, which involved a call to action that encouraged all employees to learn, engage, and improve. The goals of the campaign included: Achieving 75% overall employee strategy awareness, increasing employee participation in strategy workshops, and encouraging two-way communication between managers and employees. In order to implement the "Count me in!" program, Ericsson developed strategy workshops, internal films, TV screen messages, leadership summits, strategy quizzes, social media elements, Internet messaging materials, a success manual, and TV spots. The campaign featured digital awareness and engagement activities including emails from the head of business units and internal communications and an informative article series, helped bolster employee participation in the campaign. Digital engagement for the "Count me in!" program introduced a strategy workshop web tool, which allowed line managers to conduct online engagement activities with their team. The BUSS unit also held a photo contest for employees using the internal social media channel, Ericsson MyNET. The contest featured more than 100 employee-submitted photos and attracted about 5,000 visitors between November 4 and December 8, 2014. The photo submission page also generated more than 5,000 likes. The Ericsson BUSS unit created an employee video series called "Count Me In! - Living the Strategy" featuring stories from employees across the organization to highlight strategy in action. In addition, a quarterly digital trivia challenge is held where respondents can win prizes for answering questions about BUSS strategy. The campaign far exceeded employee awareness and engagement objectives set out at the program's inception last June. "The "Count me in!" campaign has had a tremendous unifying effect across offices, countries and cultures, which has in turn had a positive impact on the unit’s key performance indicators," explained Widiyanti Davås. Employee awareness of the BUSS-strategy surpassed the goal of 75% and reached more than 90% across global operations. Seventy-one percent of employees engaged in strategic discussions with their managers. In addition, 91.5% employees demonstrated an excellent overall understanding of their individual role in relation to BUSS-strategy. About 240 Ericsson leaders have already guided more than 2,700 employees in strategy workshops. Compared to 2013, nearly four times as many BUSS employees have attended the strategy workshops. Ericsson Business Unit Support Solutions continues to unify corporate culture and performance goals using the "Count me in!" campaign. According to Widiyanti Davås, "Strategy communication is a continued effort within Ericsson and is always re-examined in the middle of the year to determine the following year’s initiatives. This ensures that we’re refining strategies as needed to meet shifting goals and address changing dynamics."